That’s it!… I told you it was way too easy! 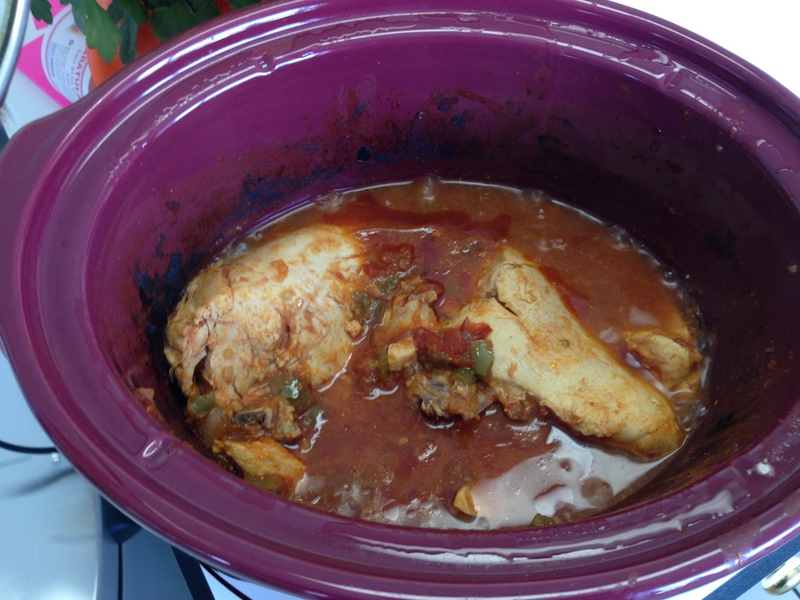 Throw the chicken in the crockpot and top with salsa. Heat on low for 4-5 hours, stirring every hour or so if possible. Pull chicken apart with two forks to shred around 1-2 hours before removing from heat. That’s it! Serve with cilantro rice. Note: if you need to cook for longer, just add some additional water or liquid to make sure it doesn’t get too dry. Depending on your salsa, you may want to add some garlic, onions, peppers, turmeric, paprika, pepper, or cumin. Play with it to see what you like best, but the reality is, all you need to make this yummy is one jar of salsa! With some tortillas, lettuce, beans, limes, and tomatoes these can be turned into amazing tacos!